Nicolas Sarkozy has banned cheese from the Elysée Palace? Woah. That, my friends, is trés, trés scandalous. The French meal -such as is my experience with it- revolves around the cheese course. Jean Anthelme Brillat-Savarin -the French gastronome extraordinaire- is widely quoted as saying, “A dessert without cheese is like a beautiful woman who is missing an eye!” To put it in other words, France runs on cheese. All politics aside, the man is off his nut. 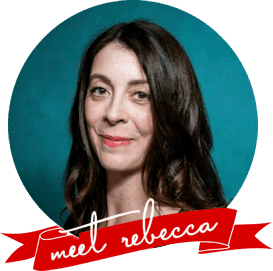 …Because if he has pronounced, “Pas de frommage!” he has tossed out not only cheese plates, but also a list of delights longer than my arms and legs put together: tartiflette, quiche, fondue, tartine, soufflé, and gougères, just to name a few. And it’s that last one that we’re going to talk about today because- Qu’est-ce un miracle!- gougères are perfectly suited to Make Ahead Mondays. Here’s the thing… if you’ve never had a gougère or perhaps never heard of them, I should tell you why you’re going to want these so badly. It’s like a cross between a hand-held souffle but far less delicate, far less difficult to mess up, far more versatile as an accompaniment, and far more fun to say. Try it. Gougère (GOO-zhair!) vs. Soufflé (SOO-flay!) Alright. They’re both fun, but the edge goes to gougére for that fun zhhhhhhh sound in the middle. It just feels so Frahnsh to say it. N’est-ce pas? Gougères are made from that ubiquitous French building block pâte à choux, or for ease’s sake, Choux pastry. It is a simple concoction to whip together, but somehow manages to pull off as versatile a collection as eclairs, cream puffs, gougères, Paris-Brests, croquembouches, profiteroles, and more… Holy. I’m telling you, if you master choux pastry, the culinary world is yours. A plain choux pastry, unadorned, piped onto parchment and baked can be used filled with ice cream or crab salad. As if that isn’t enough, the choux pastry itself can be dolled up, studded with all manner of sweet or savoury add-ins. Today’s choux pastry adventure is the savoury puff known as (duh) gougères but with a TWEEST. I’ve replaced the the traditional Swiss or Emmental cheese with a good, hearty American extra-sharp Cheddar (yes, I know Cheddar is originally English, but people, we make good Cheddar these days! ), some of the water with a pungent Dijon mustard and tossed in a few finely minced scallions for good measure. While choux pastry must be piped or scooped out immediately after being made, it can be frozen in that form and then transferred to zipper top bags or tightly sealed containers for up to three months before baking. That’s right. Cheesey, pouffy, scallion-studded, crisp-exteriored, crackly, golden brown, moist-in-the-center French comfort food baked straight from the freezer. Can I get an amen? Is anyone out there wondering what to serve alongside these little beauties? (Because these do rather steal the show…) Any good brothy soup or stew would love to play second fiddle to a plate of fresh, hot gougères. Serve alongside roasts, braises, or a simple salad. Give your kids the best after-school snack of their lives. Serve with a cup of tea for a quick breakfast. But for the non plus ultra, serve with cocktails or a glass of wine: something you know that deep in his French heart, Nicolas Sarkozy desperately wants. I’ve heard it said that nothing tastes as good as skinny feels, but I disagree violently. Skinny doesn’t taste as good as cheese. C’est vrai. C’est carrément vrai! 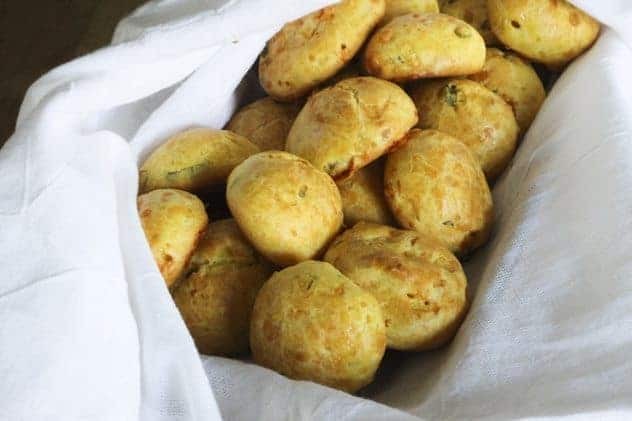 These cheesy, pouffy, scallion-studded, crisp-exteriored, crackly, golden brown, moist-in-the-center puffs are French comfort food baked straight from the freezer. Serve with soups, salads, roasts, braises, for snacks or for breakfasts with a cup of tea. These also make the perfect accompaniment to the cocktail hour or a glass of wine. Line two baking sheets with parchment or silpats. Set aside. In a heavy-bottomed saucepan, bring the milk, butter, water and salt to a full rolling boil. Add the Dijon mustard and return to a boil, remove the pan from the heat and add the flour- all at once. Stir vigorously with a sturdy spoon until all is combined then return the pan to medium-low heat, stirring vigorously still, until the dough comes together- balling up slightly around the spoon, and a thin film forms on the bottom of the pan. Stir hard for 1 minute. The dough should seem cohesive, but still soft enough to break apart with the spoon. Remove the pan from the heat and let the dough sit for 10 minutes, undisturbed. After 10 minutes, you should be able to stick your finger -up to the first knuckle- into the dough and hold it there for several seconds before it becomes uncomfortable. In other words, it should be hot, but not blisteringly so. Transfer the dough to the bowl of a stand mixer (or a large bowl in which you can use a hand mixer or a sturdy spoon and some serious effort). Add the eggs, one at a time, and beat well after each addition. After the last egg is added, beat the dough for 2 minutes before beating in the grated cheese and scallions. You can use spoons, dishers or a pastry bag to portion out the pastry, but it must be done immediately! I prefer to use a disher (cookie scoop) or pastry bag to pipe out mounds that are about 1-1/2 tablespoons in size. Leave enough room between the mounds so that they are not touching. Immediately put the pan into the freezer and freeze until firm, about 6 hours. When they are hard to the touch, you will use a spatula or your hands to transfer all of the mounds to a re-sealable plastic freezer bag or container with a tight fitting lid. Keep frozen for up to 3 months, baking as many gougères as you need at a time. Preheat oven to 425°F. 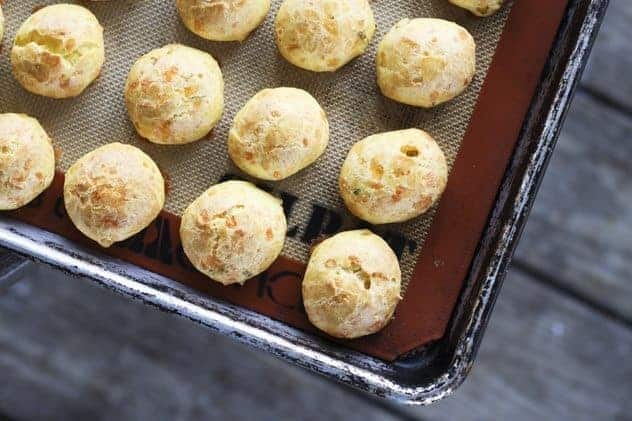 Line a baking sheet with parchment or a silpat and arrange desired number of frozen gougères so that there is at least 2 inches of space around each one to allow for expansion in the oven. 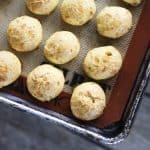 Bake for 12 minutes, lower the oven heat to 375°F, rotate the pan(s) and bake for another 12-15 minutes, or until the gougères are puffed, firm, and deep golden brown. Serve warm for most pronounced flavour, or at room temperature. Preheat oven to 425°F. Line two baking sheets with parchment or silpats. Set aside. You can use spoons, dishers or a pastry bag to portion out the pastry, but it must be done immediately! I prefer to use a disher (cookie scoop) or pastry bag to pipe out mounds that are about 1-1/2 tablespoons in size. Leave 2 inches of space around each mound to allow them to expand in the oven. Bake for 12 minutes, then lower the heat to 375°F, rotate the pans from top to bottom and front to back, and bake another 12 minutes, or until they are puffy, firm, and golden brown. Serve warm for most pronounced flavour, or at room temperature. So to extrapolate, i can pipe my eclairs, freeze and store to bake on demand?! Oh shucks, so many eggs in the house, what to do? C’est une miracle! Magnifique! But now that you have my cheese senses all excited, I think i will try your recipe with my 10 tr old tonight. I remember gougere was one of my first “bread” attempts as a kid, and they were SO good. I feel a tomato soup night comin on! thank you! Choux pastry was the first thing I made out of Julia Child’s “Mastering the Art of French Cooking”…a 1965 edition given to me by a friend recently. I’d just read JC’s “My Life in France”, as well as the letters between Julia and her friend Avis. 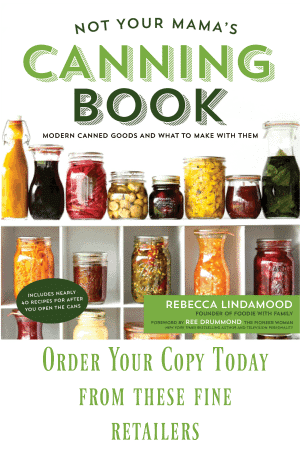 Bottom line – so much fun to make, not difficult and so very impressive. I experimented with various “stuffings” and made eclairs which are my absolute favorite pastry. I love the idea of the dijon/cheddar/scallion – thank you! Sarkozy est drôle. Mais qui peut aimer sans fromage? Recette fine, à la recherche délicieux. Merci pour un tel trucs cool. I love the crispiness and the cheesy taste of dijon. This is what I’m looking every time I pass by in the bread house. You’re right that this is perfect for making ahead. And when you pop them out of the freezer later for a dinner party, everyone is so impressed. It’s pretty cool. I hadn’t heard about the cheese ban! I read an article in the New Yorker recently and among other things it noted that Sarkozy isn’t perceived as sufficiently “French”–this certainly isn’t going to help!